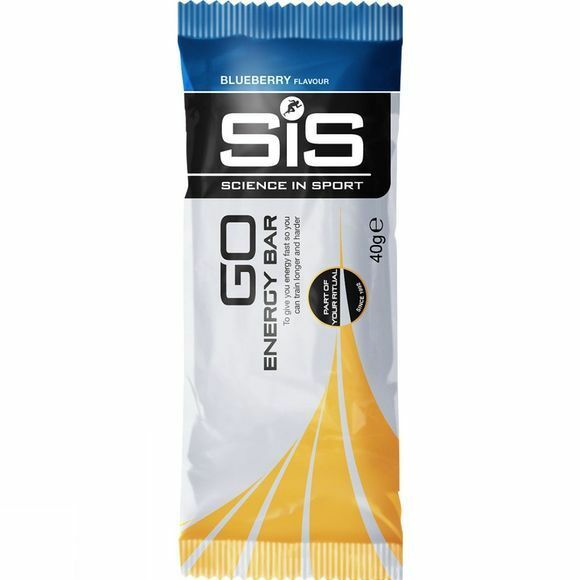 The Blueberry SiS Mini Go Bar offer a nutritious, easily digestible and high carbohydrate based snack that is made with real fruits and wholesome ingredients. This mini version of the larger Go Bars provides a highly practical approach to mid-workout fueling and can easily be carried in your pocket or race belt. Grape juice, pineapple juice, maltodextrin (from maize), dates, rice soya crisp (rice flour, soya protein isolate, oat flour, salt, vegetable oil, lecithin), oats, blueberry, soya protein isolate, blackcurrant , emulsifier (soya lecithin), humectant (calcium lactate), organic elderberry.